We are now up to the sixth-straight full Cup Series field in 2017, and fans will see the same 40 teams that raced in last Sunday’s Martinsville thriller. StarCom Racing, which had originally planned on bringing their #00 Chevrolet this Sunday, will instead race at Phoenix next week. Derrike Cope tested the team's car at the Motor Mile on October 31, and according to the team's Twitter account, was satisfied with the car's handling. Among the teams returning is Motorsports Business Management, which last week crashed out for the first time in 2017 during Carl Long’s Martinsville debut. As the team repairs that car, MBM will use their one remaining chassis, the #66 Chevrolet the team has used in all eight of their previous starts. For the first time, the car will not be green-and-gold with sponsorship from O.C.R. Gaz Bar. Instead, it will be white with new sponsorship from Moore Freight Service, Inc. Behind the wheel will be XFINITY Series regular David Starr, who hasn’t run a Cup race since September 6, 2011 at Atlanta (when he was the driver for Leavine-Fenton Racing, a brand-new start-up team which has since become Leavine Family Racing). Born in Houston, Starr will look for a solid finish at his home track. Premium Motorsports has again entered the former Tommy Baldwin Racing #7 alongside their Chartered #15, leaving the #55 team home for the second-straight race. Behind the wheel of #7 will be Joey Gase, who last drove for Premium at Indianapolis, and will make his seventh start of 2017. The #7 will carry sponsorship from Donate Life Texas, continuing Gase’s cause for organ donation. Teaming up with Gase in Premium’s #15 Low T Centers Toyota is Reed Sorenson, who, like Gase, will run double-duty with the XFNITY Series (Sorenson in the #15 teamjdmotorsports.com Chevrolet for JD Motorsports, Gase in Jimmy Means Racing’s #52 Eternal Fan / Katie J’s Bar & Grill Chevrolet). 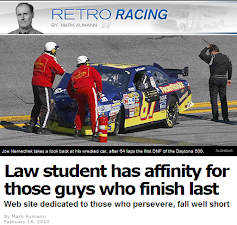 Sorenson nearly avoided damage in last Sunday’s final-lap wreck until Kurt Busch rear-ended him at the last second. BK Racing sponsor Earthwater moves to the team’s #83 Toyota this week to sponsor Gray Gaulding, who ran 31st last Sunday. In its place, BK’s #23 Toyota will return to the Dr. Pepper colors with Corey LaJoie, 33rd last week. Welcome back Ray Black, Jr., who returns to the Cup Series for the first time since his last-place run in his series debut at Chicagoland. Black drives in place of Kyle Weatherman, who despite the chaos of Sunday’s race managed to finish 12 laps down in 35th with hardly a scratch on Rick Ware Racing’s #51 Chevrolet. As with his previous Cup and XFINITY efforts, Black will carry sponsorship from ScubaLife on the Ware machine. As of this writing, Cody Ware does not have a ride in Sunday’s race. If this remains the same, Jeffrey Earnhardt will lock-up the 2017 LASTCAR Cup Series Championship simply by starting the race, even if he doesn’t finish last (though he did finish last here in the spring). 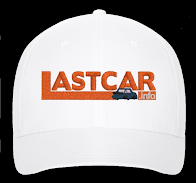 It will be the second-consecutive LASTCAR title for The Motorsports Group, which after last season merged with the Charterted Circle Sport program owned by Joe Falk. The XFINITY Series returns from a two-week hiatus with a 40-car entry list of its own. 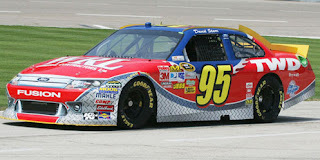 The only teams missing from Kansas are Precision Performance Motorsports, which finished a solid 22nd that day with ARCA driver Quin Houff, and the start-up NextGen Motorsports, which ran 34th in their series debut with Josh Berry in the #55 March Network Toyota. Returning after an absence is King Autosport’s second team, the #92 Chevrolet, with Josh Williams set to make his first XFINITY race since a 26th-place showing in Kentucky. Williams will be teamed with King’s owner Mario Gosselin in the #90 BuckedUp Apparel Chevrolet. B.J. McLeod’s #78 Chevrolet returns to Angela Ruch, who we last saw involved in two early crashes last month at Charlotte. Once again, her car will be sponsored by the “Give A Child A Voice” foundation. McLeod himself will run the team’s flagship #8 with David Starr in the #99 Whataburger Chevrolet. Along with their Cup effort Motorsports Business Management's two XFINITY Series cars will return with Carl Long in the #13 Dodge and Timmy Hill in the #40 Chevrolet. According to Long's Facebook account, both will carry sponsorship from the Chris Kyle Memorial Benefit, which backed Jeffrey Earnhardt's Cup car at Texas this past spring. Current NASCAR last-place record holder Jeff Green was originally listed as the driver of both RSS Racing’s #38 and #93 Chevrolets. The list has since been corrected to indicate that Gray Gaulding will again be in the #93, part of a triple-duty weekend between the #83 Toyota in Cup and Premium Motorsports’ #15 Chevrolet in the Truck Series. Give a call to J.J. Yeley and TriStar Motorsports, who have finished no worse than 21st in every XFINITY Series race since their engine failure at Watkins Glen, 11 races ago. Yeley will have to improve by one position to keep the streak going, as he ran 22nd here in the spring. On TriStar’s Cup side, Cole Whitt is also showing improvement in the #72 Chevrolet, having finished 24th and 25th his last two outings after six straight finishes of 30th or worse. As the first of three-consecutive triple-duty weekends to wrap up the 2017 season, there are seven Cup Series interlopers: Austin Dillon (#2 Rheem / WATTS Chevrolet), Ty Dillon (#3 Bass Pro Shops / Tracker Boats Chevrolet), Reed Sorenson (#15 teamjdmotorsports.com Chevrolet, likely a “start-and-park”), Erik Jones (#20 GameStop / Call of Duty WWII Toyota), Ryan Blaney (#22 Discount Tire Ford), Kyle Larson (#42 ENEOS Chevrolet, Larson’s final XFINITY start of 2017), and David Starr (#99 Whataburger Chevrolet, returning to Cup for the first time since 2011 in the aforementioned #66 Chevrolet). Exactly 32 trucks are entered in Friday’s race, marking the first time since September that the series has seen two-straight full fields. Missing from Martinsville are Cram Racing Enterprises’ #11 Chevrolet and the Mike Mittler / D.J. Copp #36 Chevrolet, both withdrawn before last Saturday’s race, as well as Kyle Busch Motorsports’ #46 (driven last week by Todd Gilliland), Brandonbilt Motorsports’ #86 (Mason Diaz), and MDM Motorsports’ #99 (Cale Gale). In their place, welcome back Tommy Joe Martins, who returns to the driver’s seat in the Truck Series for just the third time this year, and the first time since Atlanta way back in March. Martins will drive his own #42 Diamond Gusset Jeans Chevrolet, a truck that we haven’t even seen on an entry list since it was withdrawn at Iowa in June. Martins will run the #42 in place of his familiar #44 as Friday will also see the return of Faith Motorsports, which last fielded the truck at Gateway in June. Behind the wheel of #44 will be Ted Minor, making just his third start of the year and his first since Chicagoland, when he drove for Long Motorsports. Minor will carry a tribute to the victims of October’s shooting in Las Vegas on the decklid of his truck. As for Austin Wayne Self, who drove for Martins in the #44 in recent weeks, the youngster will make his first start for Al Niece in the #45 AM Technical Solutions Chevrolet. It was announced on October 31 that Self will drive Niece’s #45 full-time in 2018. Mike Mittler’s MB Motorsports had about as rough of a weekend as one could have at Martinsville, losing an engine in qualifying, but making the race, only to be unable to start due to the same problem. Driving in place of Chris Windom is Cup veteran J.J. Yeley, who is set to make his eighth Truck Series start of the year and first since a 19th-place run for D.J. Copp at Bristol. It will be Yeley’s first run in the Mittler #63 since Atlanta, where he failed to qualify. A week after Joe Nemechek handed the wheel over to Ty Dillon, who came home 15th at Martinsville, the veteran Nemechek will once again drive his #87 Chevrolet, this time with sponsorship from ROMCO Equipment Company. If this sponsorship is not enough to avoid a “start-and-park,” Nemechek could be in position for his first last-place run since Bristol in August, particularly as he helps son John Hunter after a costly crash at Martinsville. The other two contenders come from Norm Benning Racing. Benning himself put himself in LASTCAR contention after early problems at Talladega, moving him within one Bottom Ten of Nemechek, who he also trails by seven Bottom Fives. Another to watch will be Benning’s teammate Mike Senica, who failed to qualify at Martinsville. Senica trails Nemechek by just four Bottom Fives. With three races to go, neither can beat Nemechek on a tiebreaker. To claim the title, both Benning and Senica will have to claim the most last-place finishes outright. 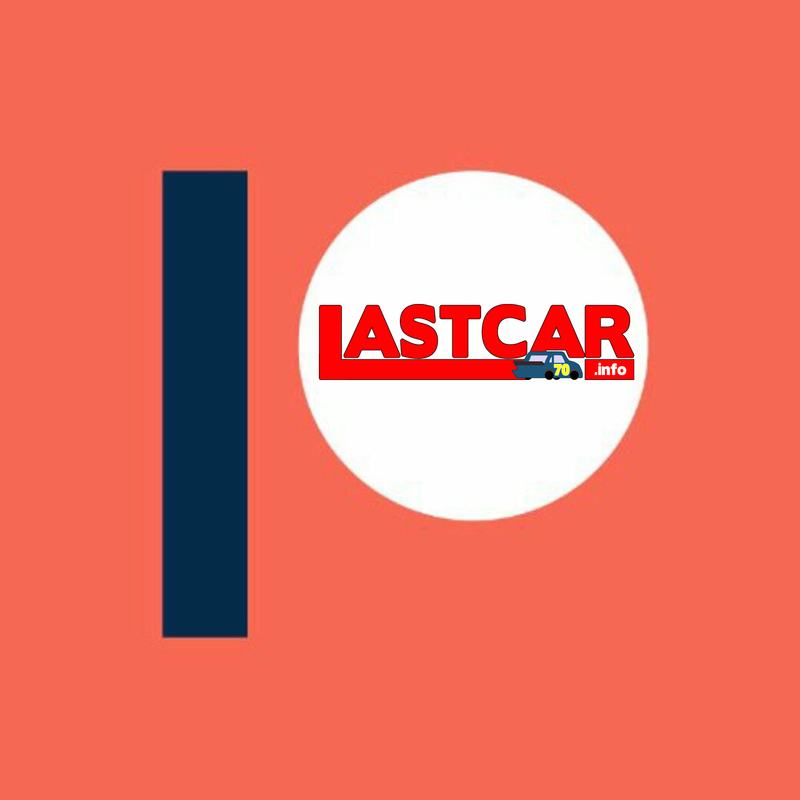 Potentially playing spoiler in the LASTCAR battle will be Ray Ciccarelli, who drives the #0 Driven2Honor.org Chevrolet that Jennifer Jo Cobb withdrew from last week’s race at Martinsville. Ciccarelli trailed his most recent Truck Series start at Loudon in September, and drives for a team which claimed the last three consecutive LASTCAR Truck Series titles with Caleb Roark. Roark’s title streak will end at Homestead, but the Cobb team remains one to watch. Whatever happens on Friday, it’s likely to happen fast. Martinsville was the sixth-consecutive Truck Series race where the last-place finisher failed to complete a single lap. 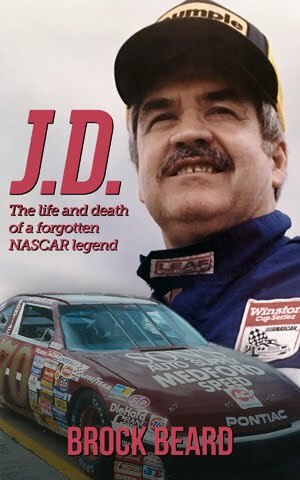 That doubles the previous NASCAR record of three, which prior to 2017, was set twice in the 1964 Grand National season.